Emory College of Arts and Sciences has appointed Harshita Mruthinti Kamath as the next scholar to fill the Visweswara Rao and Sita Koppaka Professorship in Telugu and South Indian Cultures, Literatures and History. She will join Emory in the fall. Emory College of Arts and Sciences has appointed Harshita Mruthinti Kamath as the next scholar to fill the Visweswara Rao and Sita Koppaka Professorship in Telugu and South Indian Cultures, Literatures and History. A highly interdisciplinary scholar, Kamath will be based in the College's Department of Middle Eastern and South Asian Studies. Kamath will join Emory starting in fall 2018. She is currently at the University of North Carolina-Chapel Hill, where she is an assistant professor of religious studies. For Kamath, the Emory campus will be a familiar one: She earned her BA from Emory College in 2004 and her PhD in 2012 from Laney Graduate School’s Graduate Division of Religion. She also received a Masters in Theological Studies from Harvard Divinity School. 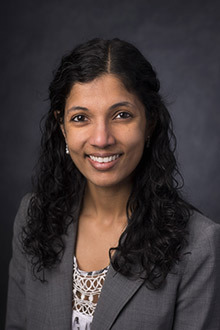 “We’re very excited to welcome Harshita Kamath back to Emory. Her fluency in both modern and classical Telugu and the wide range of her scholarly interests, from contemporary Telugu classical dance, religion and culture, to pre-modern poets such as Annamayya and Timmana, make her an exceptionally good fit for the objectives of the Koppaka Professorship,” says Carla Freeman, senior associate dean for faculty, who coordinated the national search and recruitment for the Koppaka professorship. The endowed Koppaka Professorship at Emory University was established by the Koppaka Family Foundation in honor of Dr. Visweswara Rao and Sita Koppaka. The endowment seeks to give Telugu literary and cultural traditions a wider visibility outside of India and make them more accessible to younger generations in the United States through the support of scholars like Kamath. Kamath's research focuses on the textual and performance traditions of the South Indian language of Telugu in conversation with theoretical discourses on gender and sexuality in South Asia. As an interdisciplinary scholar, she incorporates a broad array of methodologies in both her research and teaching, including critical gender theory, ethnography, performance studies and textual analysis. Her monograph in press, "Impersonations: The Artifice of Brahmin Masculinity in Kuchipudi Dance," centers on an insular community of Smarta Brahmin male dancers from the Kuchipudi village in Telugu-speaking South India who are required to don stri-vesam (woman’s guise) and impersonate female characters from Hindu religious narratives. Shifting across village, urban and transnational spaces, the book shows how normative ideals of gender, caste and sexuality are maintained through the embodied practice of impersonation among Kuchipudi Brahmin male dancers. Kamath has also completed the first English-language translation of the 16th century classical Telugu text "Parijatapaharanamu (Theft of a Tree)" with Telugu scholar Velcheru Narayana Rao, emeritus professor of the Department of Middle Eastern and South Asian Studies at Emory who was the first to hold the endowed Koppaka Professorship in 2015. "Theft of a Tree" tells the story of Krishna’s theft of the divine parijata tree from the garden of Indra, the king of the gods. The translation is forthcoming at Harvard University Press as part of the Murty Classical Library of India.